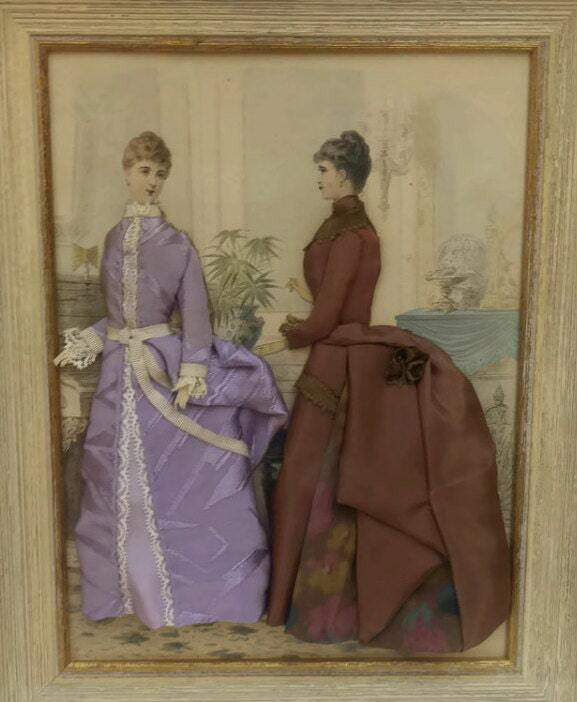 An antique French fashion diorama dating to the 19th century. 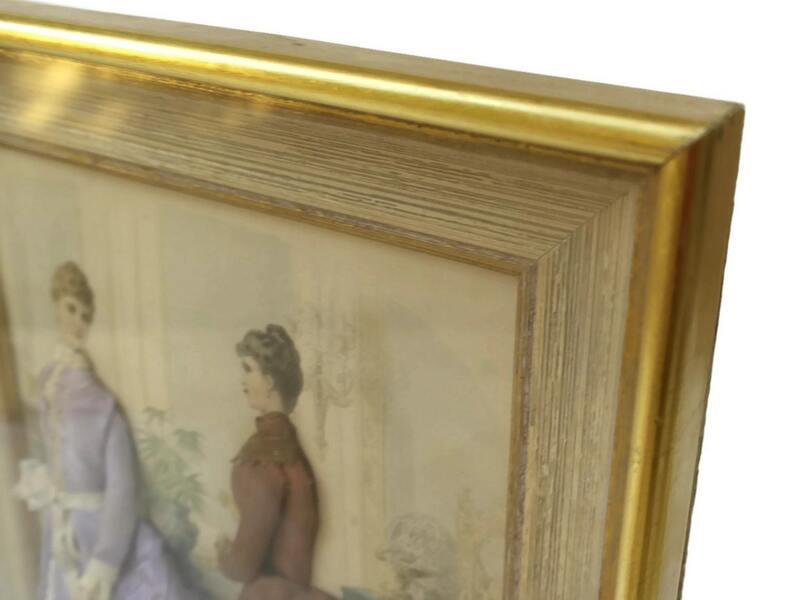 The Victorian shadow box has been made from a fashion illustration taken from a famous fashion magazine which has been decorated with handmade fabric dresses. 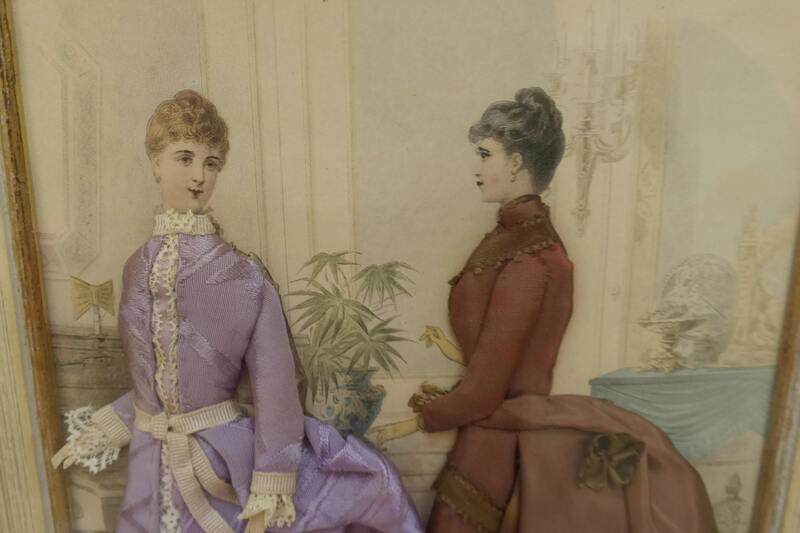 Each of the dresses has been finely and delicately made with exceptional detail. 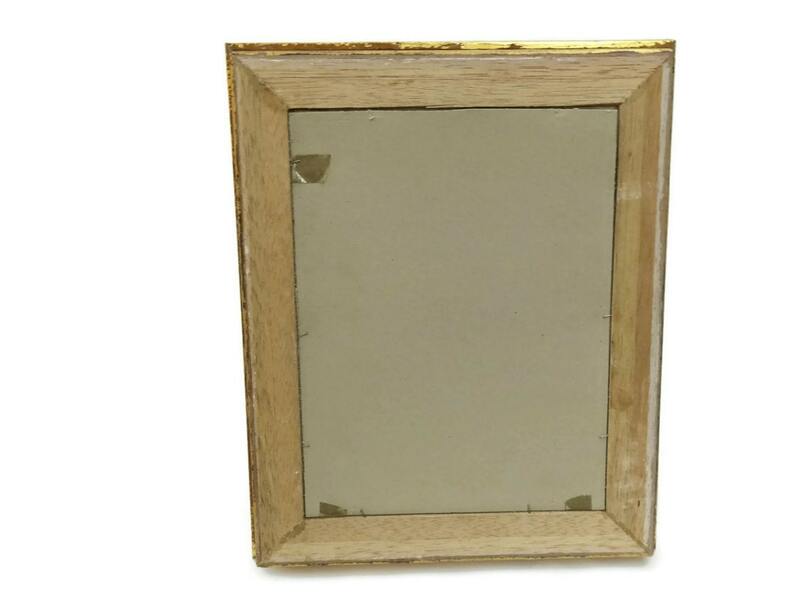 The antique print has been framed in a gold-tone frame with clear perspex cover. 14" Long x 11" Wide (35 cm x 28 cm). 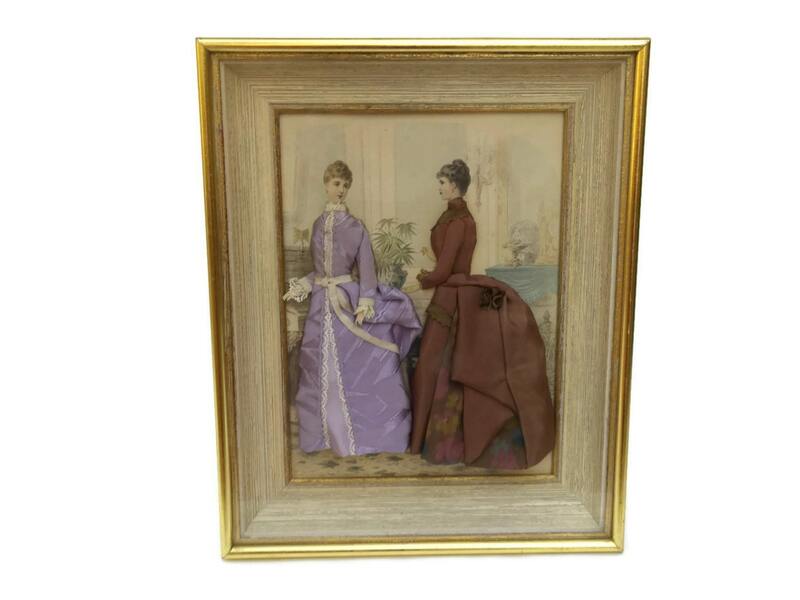 The Victorian fashion shadow box is in very good condition with age-appropriate wear. Hanging hardware is not included.